The UK's largest orthopaedic hospital has drafted in Grayling to boost awareness of its services and provide support for a major redevelopment of the NHS trust's site in Stanmore, Middlesex. Grayling is charged with creating a major campaign to raise the profile of the Royal National Orthopaedic Hospital NHS Trust. The trust recently submitted its application for an £84m redevelopment scheme and is awaiting approval from the local authority. Over half of the trust’s buildings were erected more than 60 years ago and patient care is still being delivered in wards that were originally designed for temporary war-time use. 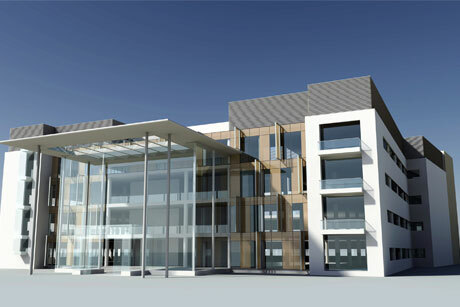 The redevelopment aims to provide purpose-built, state-of-the-art facilities for adults and children for the first time. Head of corporate affairs Jackie Stephen claimed this was a ‘critical time’ in the trust’s history as it worked towards receiving Foundation Trust status by April 2014. Grayling has been selected for the short-term project for its ability to combine ‘sig-nificant NHS understanding with political and stakeholder planning experience’, Stephen said. The trust is keen to build on broadcast coverage earlier this month to drive national, local and specialist press coverage of its status before the decision on the hospital’s planning application is delivered in March this year. Kathryn Ager, director of Grayling’s public sector, health and skills division, will lead the account.